Passengers stranded in Madinah after their Shaheen Air flight was cancelled have been brought back to Karachi, reported SAMAA TV correspondent Yasir Hussain. 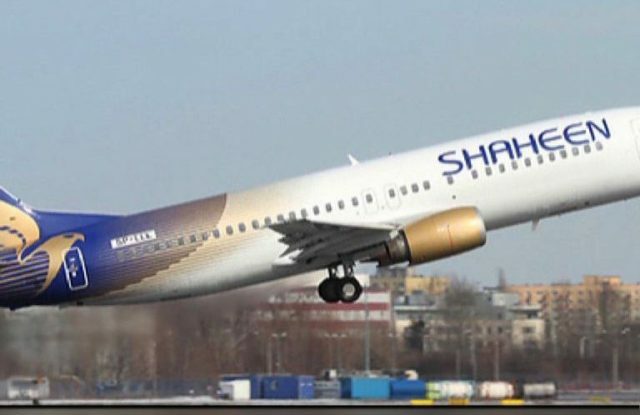 The 300 pilgrims were stranded in Saudi Arabia after their flight was cancelled because Shaheen Air’s the airline’s international regular public transport licence expired on August 30 and the CAA revoked its permission to operate abroad. The CAA had revoked Shaheen Air’s licence after it failed to pay its Rs400 million outstanding dues. It did, however, give the airline the green light to retrieve the stranded pilgrims.